Two of the UK’s most esteemed restaurateurs, Chris and Jeff Galvin, have just launched their first venture in the Home Counties at the impressive Centurion Club. Just opened, Galvin at Centurion Club will showcase the classic cuisine and timeless dining experience for which the brothers are renowned. Starting out in Baker Street with their first restaurant, Bistrot de Luxe, the Galvin brothers have been producing some of the UK’s finest French cooking for the past ten years, gaining a Michelin-star at Galvin at Windows and Galvin La Chapelle. Casual yet perfect dining is catered for at Galvin HOP, a Pub de Luxe in Spitalfields, while Galvin Demoiselle in Harrods gives shoppers a bijou break in classic French style. Two Galvin restaurants were opened in Edinburgh, The Pompadour and Brasserie de Luxe. 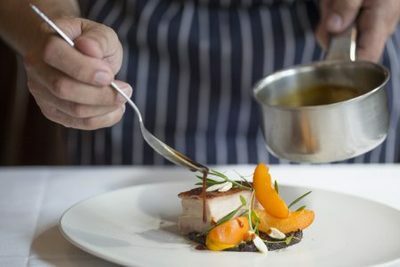 The most recent addition to their culinary portfolio is Galvin at The Athenaeum in Piccadilly. The cooking is ingredient-led, with simplicity, passion and seasonality. Signature dishes include lasagne of Dorset crab with beurre Nantais and roast rump of Herdwick lamb, grilled Provençale vegetables & black olives together with well-balanced desserts such as Provence apricot & Valrhona chocolate soufflé. Lunch and dinner is available seven days a week and will also offer affordable two and three course set-menus.